The Nissan Skyline GT-R is lovingly dubbed ‘Godzilla’ by its cult following that adore the car for its supercar slaying performance. It’s a real ‘power to the people’ machine, an attainable icon that people could actually afford to buy. 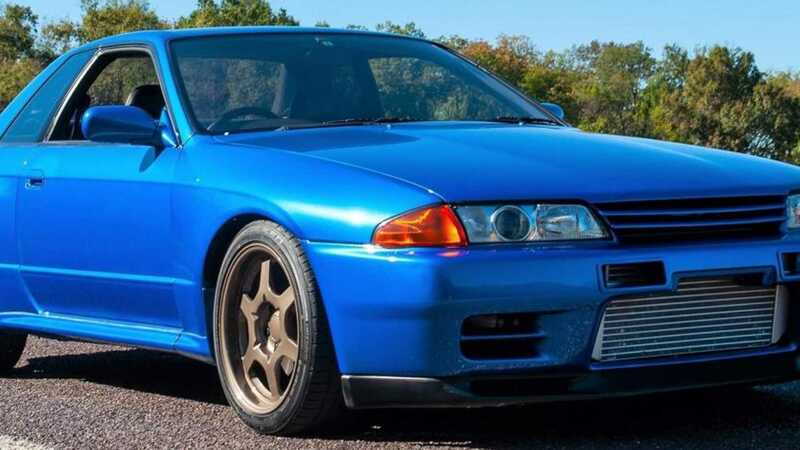 Today these cars are appreciating fast and this 1989 Skyline GT-R that’s up for auction might prove to be a sound investment for savvy enthusiasts. 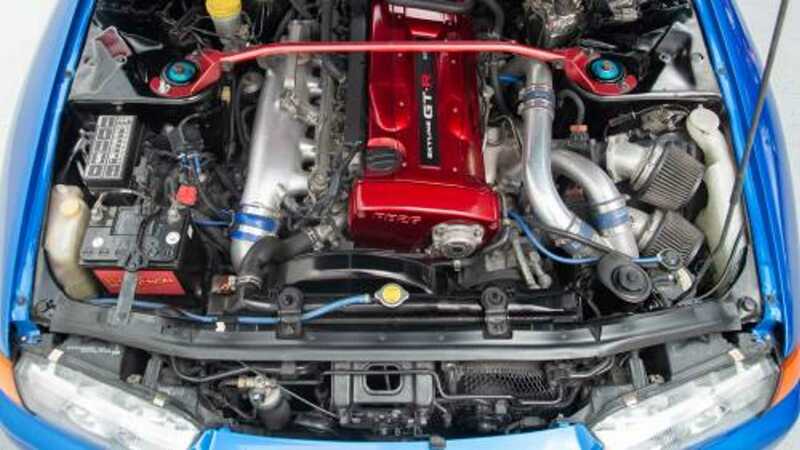 The key ingredients that define the R32 GT-R are all-wheel drive and a twin-turbocharged straight-six engine, a consequence of its Group A spec designed for racing homologation. This combination of forced induction and the traction on offer allows this Nissan to punch well above its weight. Officially speaking the GT-R is rated at 276bhp as per a ‘gentleman’s agreement’ between Japanese manufacturers – this example actually outputs 316bhp in reality. In many respects the R32 was ahead of its time with technologies such as rear-wheel steering that increases the car’s agility. Standard anti-lock brakes and a mechanical limited slip differential were also equipped when new. GTR models also benefited from a larger intercooler, larger brakes, and aluminium front guards and hood. This handsome Skyline is finished in a distinctive Electric Blue with a set of gold six-spoke alloy wheels. It is said to be in excellent condition with the interior recently reupholstered for a factory-fresh feel. GTRs are frequently modified by their owners, so it is refreshing to find a rare stock example. Prior to its current ownership, this car was actually stored in a climate-controlled room as part of a Japanese collection. The R32 Nissan Skyline was forbidden fruit in America, but thanks to the ’25 year rule’ that allows older cars to be imported, this example is now Stateside. Currently listed by Wheeler Auctions, bidding starts on January 12 2019. If you’ve always craved some modern-classic JDM import royalty, this Skyline might be your golden ticket.